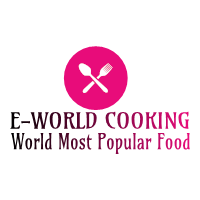 Crispy Fried Chicken ~ E-World Cooking-The World Most Popular Food. 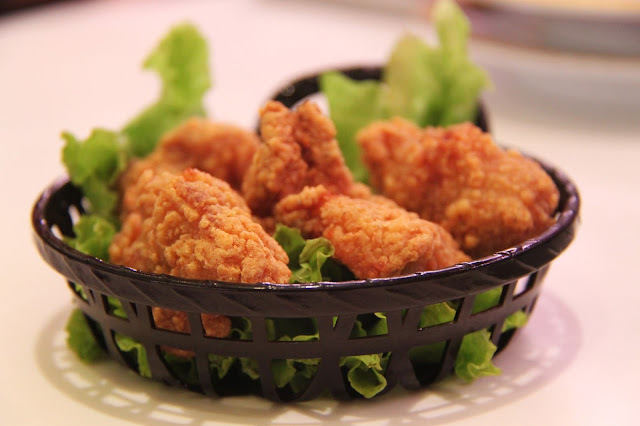 Crispy fried chicken is a famous dish in China, Hongkong as well as all over the world. Crispily fried means the chicken is fried in such a way the skin is totally crunchy and crispy but the inside white meat is relatively soft. Traditionally this crispy fried chicken dish is used in Chinese and Asian wedding. Fried chicken is basically a family picnic or weekend cooking project. To making this crispy fried chicken you must have to remember five essential things for crispy fried. First, buy chicken pieces that you like the best. Secondly properly marinate and freeze at least 4 hrs. Third, make a very well spice mixture. Fourth must use egg whites & breadcrumbs for crispy coating. Fifth, deep fry this coated chicken. Kashmiri red chili powder-1 tsp. To making Crispy fried chicken, first of all, take 500 gm. Boneless chicken and cut into small pieces, then wash it very well and keep it aside to remove water from the chicken. Now take a large bowl then add fresh curd, chicken pieces, paprika & pepper mix all these ingredients very well. Now put this marinated chicken into the freeze at least 4 hrs. Or overnight. After that remove this marinated chicken from the freeze and adds Kashmiri red chili powder, ginger garlic paste & salt as to taste. Now mix these ingredients with chicken very well and set aside at least 30 minutes. For crispy fried chicken coating take a medium bowl then beat the eggs & add little bit salt, mix it well. Now deep the chicken pieces into this egg and put it into the breadcrumbs, shake off excess breadcrumbs and again deep into this egg then put it again the breadcrumbs. Shake off extra breadcrumbs and set this chicken to the side to rest for 5 to 10 minutes for better coating. Repeat this process for the remaining chicken pieces. After completing this whole process take a frying pan & turn on the flame. Add cooking oil for heating, once the oil is heating add this chicken pieces and fry it over medium flame until golden brown on each side. It will take at least 10 minutes. Now the crispy fried chicken is ready and places it on the paper towel. Cook the remaining chicken in a similar way. Crispy fried chicken is ready to serve your favorite dish or ketchup. 1. To making this crispy fried chicken you can use both boneless or chicken with bones. 2. For more crispy here double coated the chicken pieces, you can also single coat it. 3. For spicy and color we are using red chili powder, For color, you can also use food color.